The Book that made you fall in love with reading: There are so many books that could be listed here. 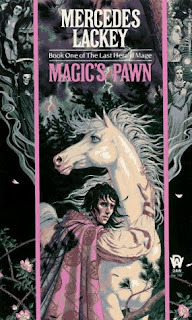 While I can't think of the one specific book that made me love reading initially (I don't know if there even is just one), every time I find a book that I really like I fall in love with reading a little more. Honestly, that is part of my criteria for rating a book as a ten. Barcelona, 1945—Just after the war, a great world city lies in shadow, nursing its wounds, and a boy named Daniel awakes one day to find that he can no longer remember his mother’s face. To console his only child, Daniel’s widowed father, an antiquarian book dealer, initiates him into the secret of the Cemetery of Forgotten Books, a library tended by Barcelona’s guild of rare-book dealers as a repository for books forgotten by the world, waiting for someone who will care about them again. Daniel’s father coaxes him to choose a book from the spiraling labyrinth of shelves, one that, it is said, will have a special meaning for him. 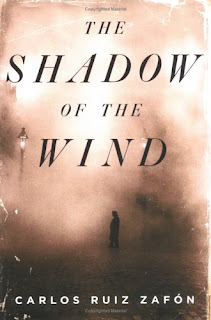 And Daniel so loves the book he selects, a novel called The Shadow of the Wind by one Julian Carax, that he sets out to find the rest of Carax’s work. To his shock, he discovers that someone has been systematically destroying every copy of every book this author has written. In fact, he may have the last of Carax’s books in existence. Before Daniel knows it, his seemingly innocent quest has opened a door into one of Barcelona’s darkest secrets, an epic story of murder, magic, madness, and doomed love, and before long he realizes that if he doesn’t find out the truth about Julian Carax, he and those closest to him will suffer horribly. I actually found this book to be quite scary. I really like horror, but I can’t think of another book that left me as creeped out as The Shadow of the Wind. This book is also really beautifully written and I cannot recommend it enough. A book about a book. Who could ask for more? Young Sorcha is the seventh child and only daughter of Irish Lord Colum of Sevenwaters, a domain well protected from invading Saxons and Britons by dense forest where, legend says, fey Deirdre, the Lady of the Forest, walks the woodland paths at night. Colum is first and foremost a warrior, bent on maintaining his lands against all outsiders. Not all of his sons are so bound to the old ways, and that family friction leads to outright dis- obedience when Sorcha and her brother Finbar help a Briton captive escape from Colum's dungeon. Soon after, Colum brings home a new wife who ensorcels everyone she can't otherwise manipulate. By her spell Sorcha's brothers are cursed to become swans. Only Sorcha, hiding deep in the forest, can break the spell by painfully weaving shirts of starwort nettle--but then Sorcha is captured by Britons and taken away across the sea. Determined to break the curse despite her captivity, Sorcha continues to work, little expecting that ultimately she will have to chose between saving her brothers and protecting the Briton lord who has defended her throughout her trials. This is a book that will make you laugh and cry and fall in love with the characters over and over. 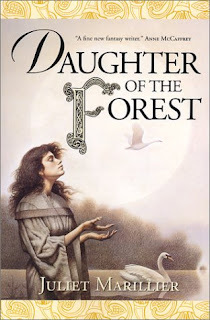 Daughter of the Forest really is simply perfection and I dare you to read this book and not fall in love with Juliet Marillier. 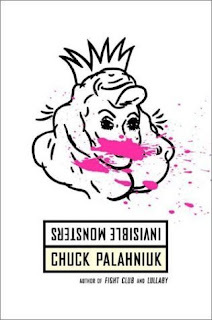 This is the first Chuck Palahniuk book I read and it is still my favorite. I'd even go as far to say that almost all of the other Palahniuk books I've read have come second best to Invisible Monsters. It is just perfect and the amount of awesome quotes in this book is ridiculous. The Inferior by Peadar Ó Guilín, Shades of Grey: The Road to High Saffron by Jasper Fforde, A Game of Thrones by George R.R. Martin, The Name of the Wind by Patrick Rothfuss, and so many more could be on this list just as well. But, strong-willed and self-centered, Vanyel is a challenge which even Savin cannot master alone. For soon he will become the focus of frightening forces, lending his raw magic to a spell that unleashes terrifying wyr-hunters on the land. And by the time Savil seeks the assistance of a Shin'a'in Adept, Vanyel's wild talend may have already grown beyond anyone's ability to contain, placing Vanyel, Savil, and Valdemar itself in desperate peril.. I absolutely adored this book, but I cried so hard I thought I was going to wither up into a dried piece of...I don't know. Something VERY dry. It was seriously out of control. Of course I didn't put the book aside, but it is still the first book I thought of when I read this question.